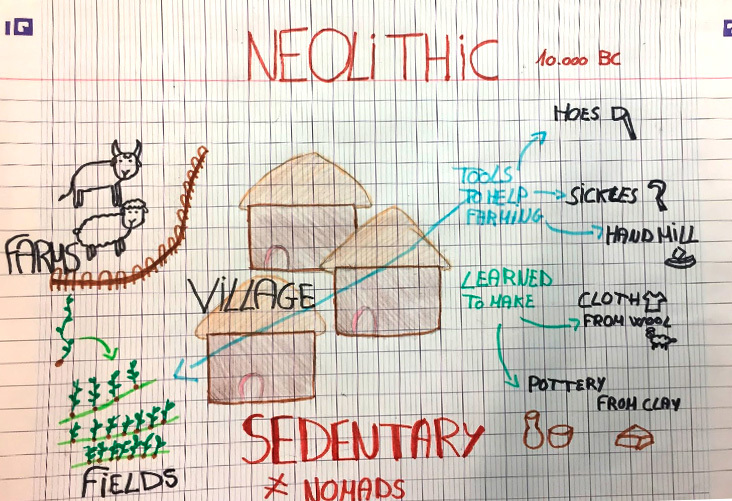 The 6ème students are studying History and Geography in English for the first time! A helpful way for them to memorise new concepts is to use mind maps. 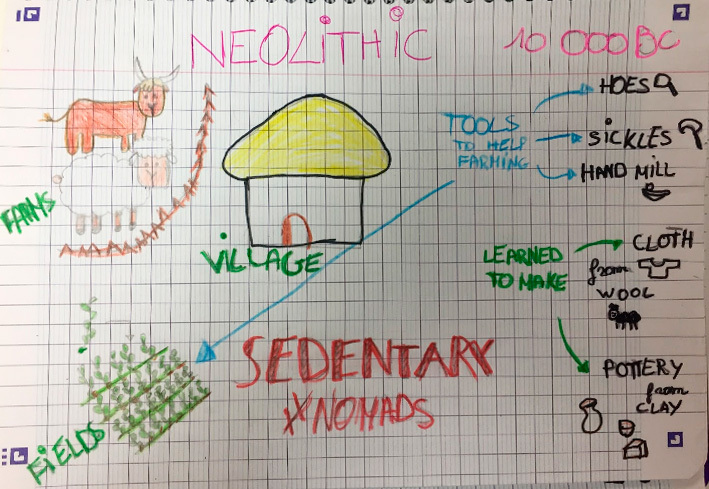 They draw symbols and write key words on a blank page, and can be creative while they revise. 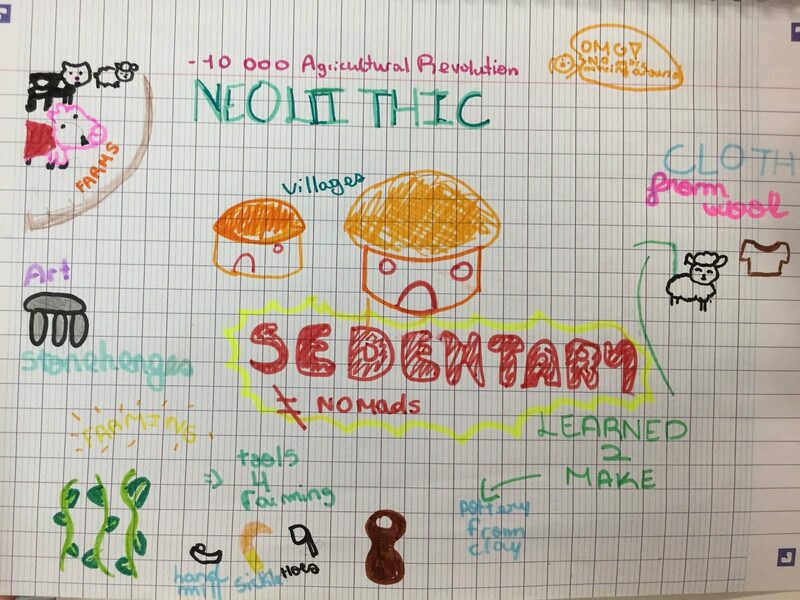 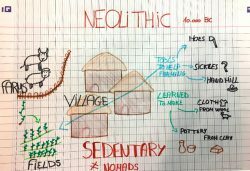 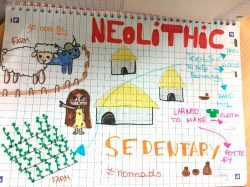 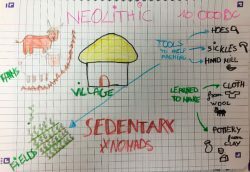 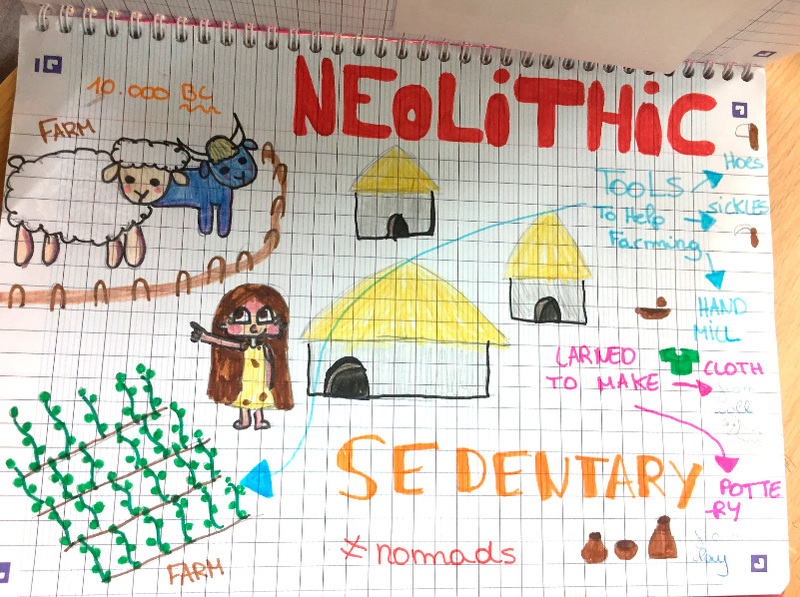 Here are some examples of the ones they did for the ‘Neolithic era’ during the Prehistory unit.